Tea is one of most popular, traditional drink and loved by a lot of people in Japan. 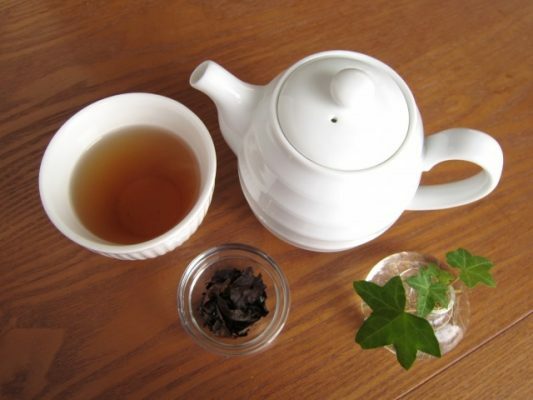 In this article, type of Japanese tea and best method to brew each teas are described! Whether you drink Japanese tea in Tokyo or foreign country, do not miss it!! Important factors to brew Japanese tea are water and temperature. These should be considered carefully depending on the type of Japanese tea. Best type of water for Japanese tea is slightly acidic soft water. Basically water in Japan match with Japanese tea because usually it is slightly acidic soft water including tap water. But It is recommendable to boil when using tap water as it contains chlorine that makes Japanese tea unpleasant smell. 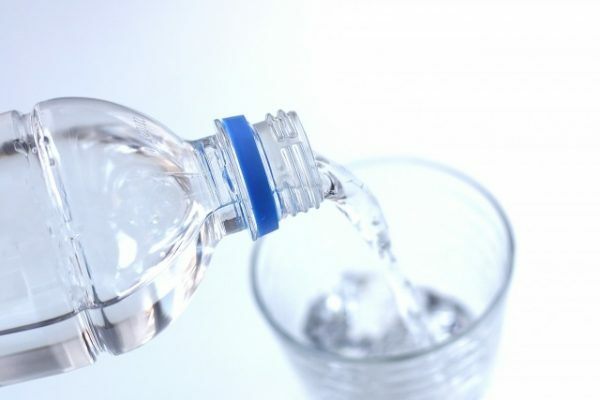 If you use natural mineral water sold in market, type of water should be checked because water made in foreign counties usually does not match with Japanese tea because almost all of foreign water is hard water that contains a lot of calcium and magnesium. Hard water: It react with catechins and caffeine contained in Japanese tea, and decrease aroma. 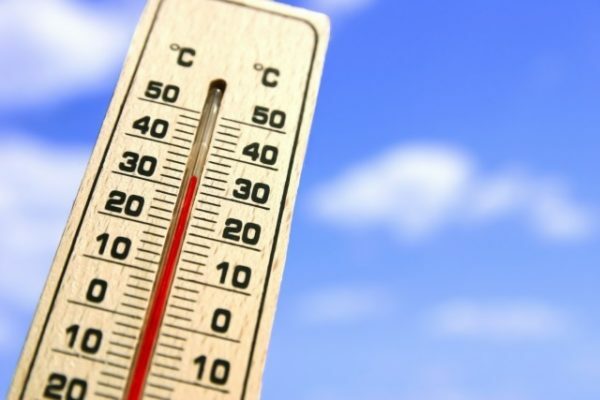 The temperature of hot water for Japanese tea is the key to extract well balanced ingredients such as caffeine, amino acids and catechins from tea leaves. 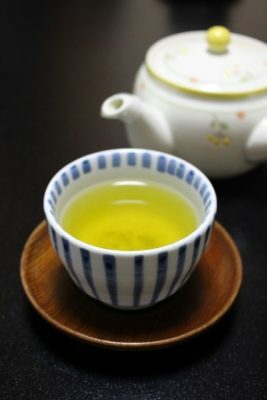 The higher temperature of hot water extract more catechins and caffeine and the tea would have astringent, bitterness and strong aroma. On the other hand, low temperature of hot water does not extract these ingredients and the taste would be fresh. People should know the appropriate temperature for each type of Japanese tea and your preference. 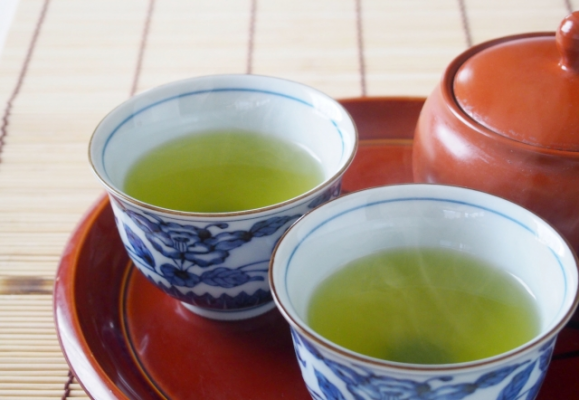 The taste of green tea is expressed by four expressions, sweetness, bitterness, astringent and flavor. The aroma of green tea consists of more than 200 ingredients in tea leaves and the taste would change by insubstantial difference with some factor such as ingredients, type of water and temperature. 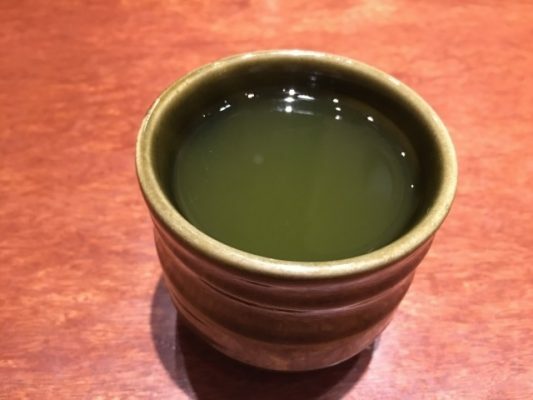 For instance, Zencha which is one of most popular green tea in Japan is a premium tea that has good balance between the aroma of blue leaf’s alcohol and the roasted fragrance that comes out then heat is added to the pyrazine which is an ingredient in tea leaves. The high quality green tea “Gyokuro” through particular process that have tea field covered with shade for 20 days before harvesting, and the process makes good aroma for green tea like a seaweed. Below is the representative Japanese tea. Detail: Matcha is very popular for not only as tea but also sweets. Many products such as Matcha ice cream, Matcha cookie are popular in Japan. 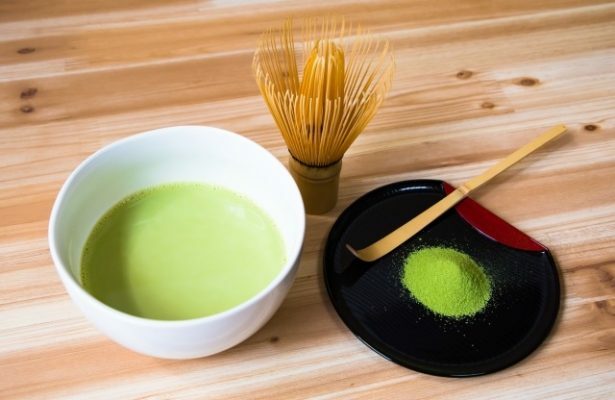 By drinking Matcha, people are able to gain nutrient of green tea. Matcha trea plantations are covered with straw same with Gyokuro tea to ensure that the flavor component of the tea leaves does not change to a stronger bitterness or astringent. The tea leaves for matcha are treated with steam, then dried. Because Match is a powdered green tea and drunk by mixing with hot water, it has relatively strong stickiness. Matcha contatins a lot of antioxidants and you can enjoy the refreshing aroma of fresh tea leaves. Detail: Gyokuro is the most exclusive tea in green tea. Enjoy a small amount of Gyokuro tea, similar to wine tasting with flavor and sweetness like kelp. 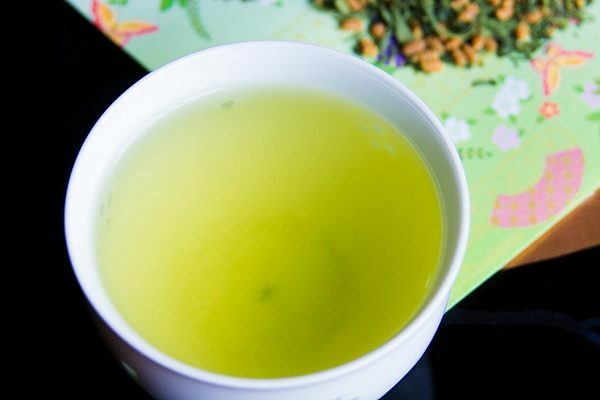 It is important to brew the temperature of Gyokuro tea in order to enjoy the special green tea fully. Detail: When Japanese says tea, it is usually Sencha. It is sold anywhere and easy to purchase because of comfortable price. We recommend to try this one first if you are not familiar with green tea. Detail: Brown rice tea called Genmaicha is a mixture of green tea and roasted brown rice. It matches with Japanese rice cracker!! Green tea and brown rice is usually half but sometimes mixed in different proportion. 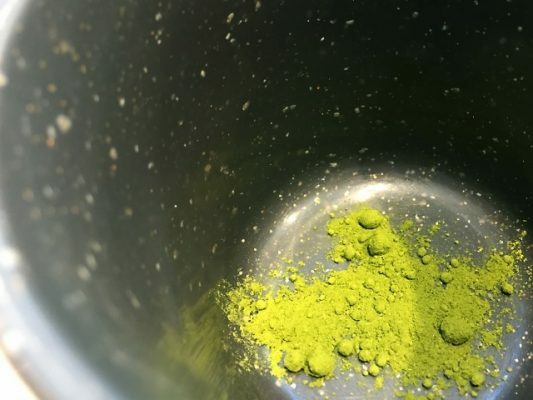 Detail: Konacha called powdered tea is relatively bitter compering to other green tea and usually is served at Sushi restaurants. Because the bitterness make the mouth clear, it matches with Sushi!! Detail: Houjicha is different with other green tea as the color is completely brown and not containing a lot of caffeine and catechins. Therefore, it is recommendable for children and elderly people because of ease on stomach.